This entry is for people who are unsure of exactly what factors to look for when choosing a mastering studio. There are a lot of sites out there and narrowing that choice down is going to make your job of finding the best mastering and engineer much easier. Use this guide to ensure you are less likely to be hiring a music tech student, cracked plug ins and a set of cheap near fields. Can you see pictures of high resolution large format loudspeakers ? Essential for accuracy and to judge deep lows for club playback. Can you see significant bass trapping and professional acoustic treatment ? Essential for a linear acoustic to guarantee best translation across systems. Does the engineer have 15 years plus full time professional audio engineering experience ? Essential to know your music is not being mastered by a beginner or student. Mastering is not the place for experimentation or beginners. Mastering engineers are not born over night, training and skill is honed over years of professional audio work, not a few nights Djing. Does the studio show high end analogue mastering specific equipment ? Shows willingness to invest in clients music and results, mastering is about the sonic details, analogue adds subtle qualities to music. Quality analogue equipment suggests the engineer has the hearing acuity to discern, that is very important in mastering. It demonstrates an understanding that the best mastering is performed using both high end analogue and digital equipment specific to the task of mastering. Does the studio offer mixing services and mastering is a side line to fill their empty studio bookings schedule ? Mix studios who are also mastering is not a good look. 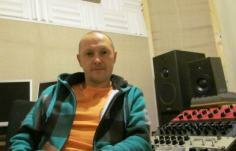 Successful mix studios are busy, they do not have time for mastering. I have mixed a lot of music in my time as a professional full time audio engineer employed by a large production company and now I specialize in mastering. The best mastering studios are dedicated. I am dedicated to mastering audio and my sole income is derived from doing this day in, and day out. Mastering is a niche service and engineering practice. Does the website have “tech graphics” and no room pictures ? (In fact any pictures other than the equipment and studio is bizarrely common. From project studio kit, plug in screen shots, musical instruments, mixing consoles and budget near field monitors. Also parts of racks and no rooms shots. You want to see where your music is being mastered. studio has been acoustically treated. Don’t be fooled by a guy in a spare bedroom. Does the website have a picture of a large mixing console that has nothing to do with mastering audio? Chances are it is a mix studio that has fallen on hard times, mastering is a specialist type of engineering best left to someone who does mastering day in and day out. Experience counts. Does the mastering engineer biog list a lengthy and credible client list ? 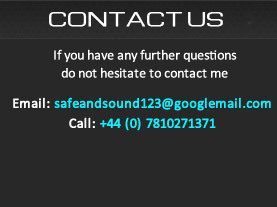 Proves the studio has worked with many clients and music genres, a clear indication of quality and reliability. So you must be thinking: Are these chancers are a threat ? Yes they are, to your music releases. The vast majority of people seeking the best mastering will spot these signs a mile away. However I think it is fairly disheartening and unfortunate to see beginner producers, musicians and bands who may not be able to discern the differences being ripped off. So I felt compelled to write up a short blog post about ensuring your music has the best chance of success by choosing a professional mastering engineer with years of sound engineering experience. The final stages of music production are critical, things can easily be made worse in the hands of a novice. From the time you see a website with no actual studio shots you can bet your bottom dollar it’s someone in a bedroom with limited engineering skills and equipment no better than your own. Don’t fall fowl of the bogus online mastering engineer and choose a professional who is willing to prove they are the real deal. Check out out FAQ page that has lots of great information about the best mastering.